Federal Aviation Administration Certification given to ORCA Technologies GPS Time and Frequency Receiver, Model GS-301. 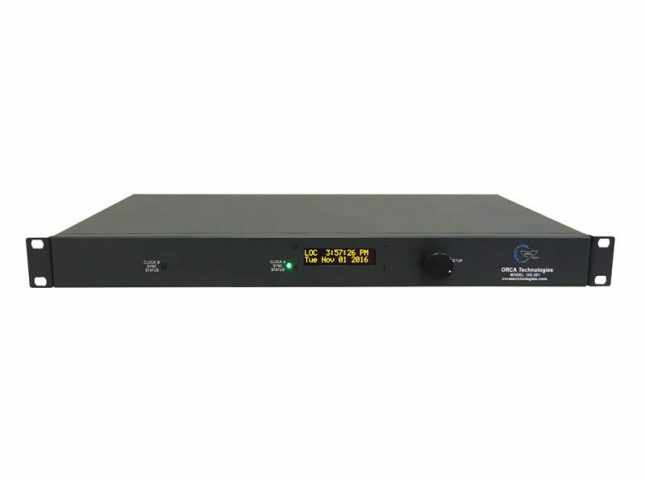 Accurate yet affordable, the Model GS-301 is a rackmount GPS Time and Frequency Receiver with functionality for Network Time Server and Time Code applications. The GS-301 is an excellent choice for applications requiring a single box performing specific tasks without asking you to buy an overbuilt unit with features you simply don’t need plus now FAA approved. Welcome to our redesigned website. We invite you to take a quick tour of the new site. We hope you like the enhancements, which are one of many steps we’re taking to improve our capabilities to serve you better. On behalf of everyone at ORCA Technologies, we hope you like what you see and that you will come back often.